At this stage of your career are you ready for the next level of leadership, challenge, or responsibility but aren’t sure of the steps to achieve this? Is relocation part of your company development plan and you‘d like to know if it’s right for you? Have you been passed over one too many times and you’re having difficulty communicating or seeing eye-to-eye with your boss? Maybe you’re starting on a career path and want to consider all your options. Have you considered taking your chances and just quitting or starting your own business, but assessing the risks and rewards is complicated? You want to integrate family with your career but it’s hard to imagine getting ahead? Go further, faster. In your career and life. Over the course of a career we all come to stages when we are dissatisfied, want growth or desire change. Again, these are Choice Points. Decisions made at these times have a profound effect on the course of your career life, as well as your personal life. When we strategically develop your career plan over time, instead of being reactive you go further faster. It’s a matter of recognizing all aspects of your Choice Points, making decisions that are sound and strategically working with them. When you’re at one of these stages you most likely feeling dissatisfied, unhappy, confused, often stuck. And if you’ve been passed over, you likely feel taken for granted and resentful. Sometimes it’s tough to know what to do, or it seems like you don’t have any options. You want more but you don’t know how to get there. When we explore your options and strengths, values, needs and purpose, we can create a strategic plan with realistic action steps that account for both your immediate and your long-term goals. It integrates your personal and your professional goals, with an action plan to get you there. You go further faster because you’re empowered to make the right choices, rather than being reactive or impulsive. You’ll have the skill to negotiate a better position within your company or to land a more satisfying, higher paying position where you feel a compatible fit. You’ll go further faster because you have the right mindset, tools and skills to act with clarity and confidence. The mindset, tools, skills and strategies we develop, integrate your personal goals with your career stage. Looking long-term, you see you can have more of what you want bridging from where you are now and strategically moving you toward a whole future. With this foundation you’ll be able to more quickly recognize new Choice Points as they come up in life, and we’ll be able to work them easily, seamlessly moving you further faster. Know Where You Want to Go or Grow. When starting out, feel more confident knowing the next best steps to grow in your career. Have the skills to negotiate more responsibility, leadership and compensation. Communicate effectively with peers and superiors, younger and older colleagues alike. Bring presentation and productivity to give the authentic, confident impression you desire. 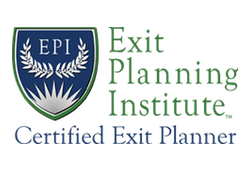 Gain the skills necessary to make decisions about your career future. Navigate changes imposed by reorganization, layoffs, challenging superiors or coworkers, and any other impacts on your career development. Ready yourself for that better job, have greater recognition, compensation, responsibilities you enjoy, work that matches your strengths and interests. Domestic or global, inbound or outbound, gain the tools to assess a next career move that involves relocating yourself or you and your family. Know how to negotiate the assignment both with the company and to make sure you job and are relocation-ready at this stage. Clearly see how this meets your long-term career and life goals. I was lucky to have a resource like Jan early in my career – straight out of graduate school while working independently for a green building start-up. Jan helps her clients develop actionable plans befitting of lofty goals and motivations. I gained a lot from the work we did and am better positioned today as the result. 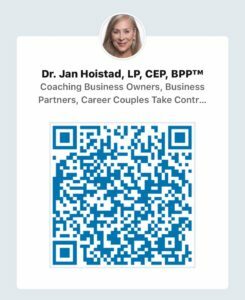 I’ve coached with Dr. Jan through career change and building my business. Jan’s been there along my career path as I discovered the field of psychology, attended graduate school, and developed my business in two different states — all while having two small children! It’s been a lot to juggle in a short time. I couldn’t have done it so well without Jan!